During the cold winter months, it is easy to wind up with an energy bill that’s through the roof. If you have been noticing a spike in your energy costs this winter, it might be time to implement a few extra methods for lowering these costs. Cutting down on energy usage doesn’t need to be terribly difficult. As your experts in furnace services in Winnipeg, we have helped countless families in our community find creative ways to lower their energy bills each month. 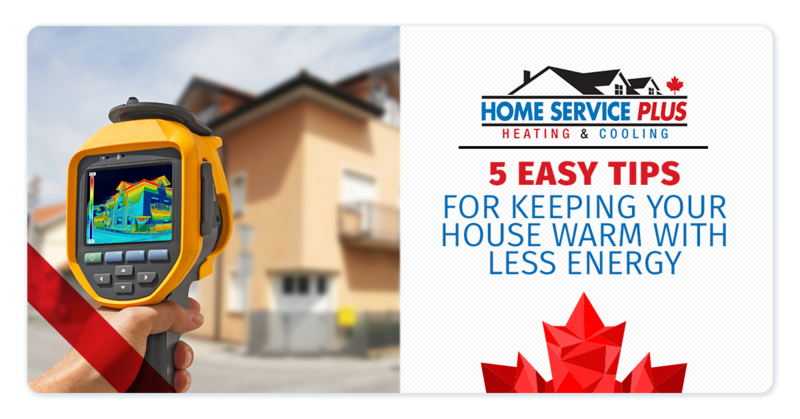 Check out these five easy tips for keeping your home warm while using less energy. First things first, how good is your home’s insulation? In many cases, high energy bills during both the winter and summer months are due to a lack of proper insulation. You can start by inspecting your home on your own. If you have an attic, take a look at what kind of insulation is in place. Do you see any major gaps or feel any considerable drafts in the space? Upgrading your insulation can go a long way in preventing energy loss in your home. Not only should you look at your attic insulation, but you should also inspect windows and doors. Old, thin-paned windows can be a major source of heat loss. Gaps under doorways can lead to blustery drafts. Upgrading windows and sealing up doorways can lower your energy bills each month drastically, making it well worth the upfront costs. If your home has a lot of windows, purchase thick curtains and drapes to cover these sources of energy loss. During the night, draw all the drapes and curtains tightly shut. This will help trap in the heat throughout the coldest parts of the day. When the sun is up, open drapes and curtains in rooms where the sun will beat in. Keep them closed in areas that are not being hit by the sun. By opening and closing drapes according to the sunlight, you can make the most of solar heating in your home while losing the least amount of energy to the glass. Do you have a guest room that goes without use most days? Perhaps you have an office that is gathering dust. Any rooms that aren’t commonly used should be shut off with their vents closed. This prevents you from wasting energy on a room you aren’t even using. In many cases, we spend far too much money heating our homes because we don’t dress for the weather. You might be used to bundling up when you go outside, but perhaps you lounge around the house in lightweight clothing. Invest in thick socks, warm sweaters, and other comfortable, cozy clothes for the home. 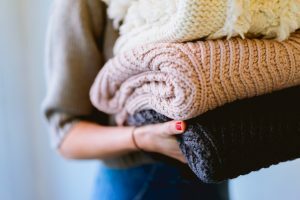 Layering your clothing will allow you to stay comfortable in your home, even without the heat blasting. Not only can you put on some extra layers to stay warm, but you can also keep throw blankets on chairs and couches. Wrap up when you sit down for your next movie night rather than cranking up the heat. Finally, unusually high energy bills might be due to an issue with your actual HVAC system. If it has been more than a year since you had your furnace inspected, schedule routine furnace maintenance. Your HVAC technician will be able to diagnose any inefficiencies in the unit. Something as small as replacing a dirty air filter can go a long way in drastically cutting down on the amount of energy needed to heat your home. If your furnace is extremely outdated, it might be worth upgrading to a new energy-efficient model. If you need help with a quick furnace tune-up or a whole new system installation, we are the team to call. Here at Home Service Plus, we specialize in furnace services in Winnipeg. We have the experience needed to handle any heating service, large or small. We will work with you to ensure that your heating system is operating as efficiently as possible, helping you cut down costs on your heating bills each month. Contact us today to schedule a furnace inspection.